Jacquie's Up-Cycle Nation: Beach Time! The school year is winding down and parking spots along the boardwalk are filling up! Whether it's a fresh water lake, salty sands, or the backyard pool; these Etsy up-cycle artists have the perfect summer accessory for sun-kissed days! Custom messages surrounded with soft sea glass add instant whimsy to any summer décor. 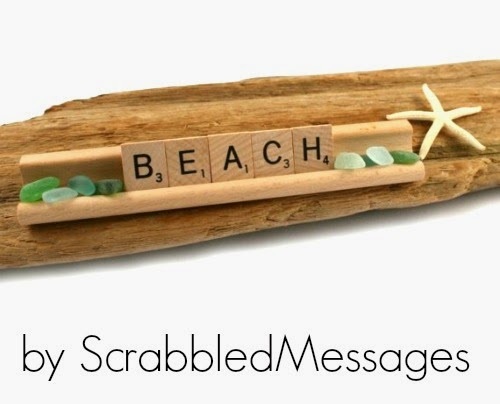 Contact ScrabbledMessages to custom order a cottage sentiment of your own! Carry the beach wherever you go with a wristwatch up-cycled to display wee sea life treasures. 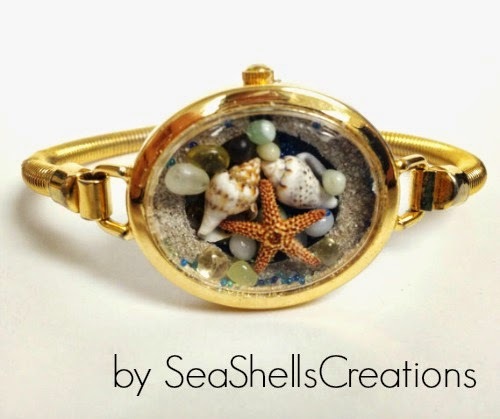 Pick up this cutie and browse more sea-inspired gems at SeaShellsCreations. Lighten the load by gathering all those swim necessities in one bag. 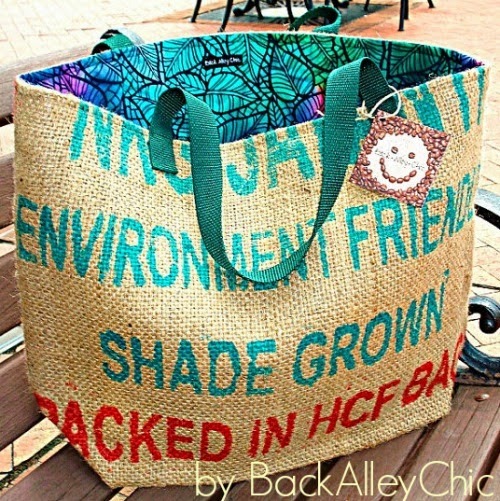 This oh-so-beach burlap bag from BackAlleyChic is stylish, environmentally conscious, and a do-gooder. A portion of the proceeds goes to the ALS foundation to help find a cure for Lou Gehrig's Disease. Every summer needs a good project! 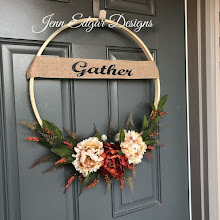 Try out a vintage pattern from CreationsbyMESHELL. Instant downloads mean no waiting for the mail! 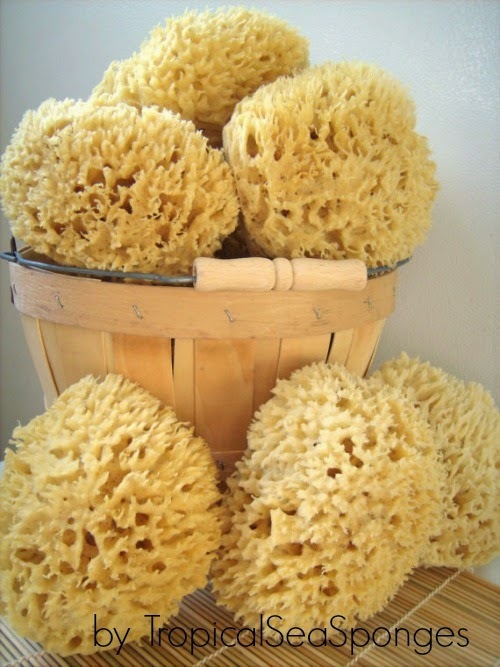 Round out the summer beach day with a luxurious natural sponge! These bathing beauties do double duty as décor and indulgence! Choose the perfect size from TropicalSeaSponges. 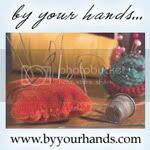 Use the coupon code DadDeal20 to receive 20% off all sponges until June 15! 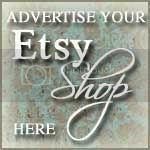 To find more fabulous up-cycled beach fun search upcycled summer on Etsy.